The South Boulder Creek Action Group and the Resident Flood Protection Team at Frasier Meadows Retirement Community (FMRC) viewed this year’s Boulder City Council candidates through a single lens: flood mitigation for South Boulder Creek including the annexation of CU South. Which candidates will work to move the approved plan forward with all haste? And which candidates would likely slow progress down by requiring more studies and seemingly endless public process? Here are our Boulder City Council Endorsements for election year 2017. The first four candidates listed below earned our wholehearted endorsement by demonstrating they understand our flood issue and are committed to solving it by facilitating cooperation between CU and the City of Boulder. The last two are candidates we consider “safe” for you to vote for. While they didn’t articulate their support for flood mitigation as clearly as the first four, we have heard enough from them to believe they will work for and not against our efforts to achieve berm construction at CU South in a timely way. “I fully support working with City staff to bring Phase I of the South Boulder Creek Flood Mitigation Project to a vote as quickly as possible, and without further delay,” said Rigler in response to a question about SBC flood mitigation we emailed to all candidates. Rigler is a soft spoken and thoughtful candidate with an interesting background in national politics, he has worked for Geraldine Ferraro and Al Gore. Vote for BILL RIGLER! Burton is an incumbent candidate who earned our gratitude and support by clearly and unequivocally pointing out the urgent nature of our flood situation during City Council meetings in 2017. She voted YES to support the Comp Plan Amendment for CU South. We view her as a clear thinking candidate who has consistently had our backs. The Daily Camera endorsed Burton this week describing her as, “a highly-accomplished former Apple executive who has done her best to ground the council in reality.” Vote for JAN BURTON! Grano impressed us with her strong grasp of our flood issue and her optimistic and empathetic persona. She has said that she looks “forward to supporting the City moving as quickly as possible toward annexation and flood mitigation if elected.” We agree with the Daily Camera’s endorsement which describes her as “one of the most appealing council candidate’s we’ve encountered.” Jill appears to be a problem solver who knows how to get stuff done. Vote for JILL ADLER GRANO! 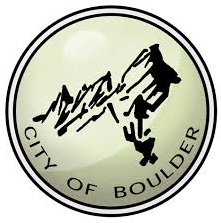 “Correcting this situation should be one of the City’s highest priorities,” said Ed Byrne in response to a question about South Boulder Creek flood mitigation we emailed to all council candidates. We appreciated Byrne’s attention to and understanding of our flood issue at the candidates’ forum hosted by FMRC and agree 100% with the Daily Camera’s endorsement which describes him as “a pragmatic moderate.” He is the top pick of a number of us from SBC Action Group and the FMRC Resident Flood Protection Team. Vote for ED BYRNE! We DISCOURAGE you from voting for any candidate not listed above if your goal is to support flood mitigation in our neighborhood. If we didn’t mention a candidate it is because they either indicated support for approaches that would slow or halt the City’s plan to provide flood mitigation at CU South by requiring more studies and process, or they failed to speak meaningfully about the issue despite receiving our questions by email several days prior to a Council candidate forum hosted by FMRC residents. We based our recommendations on the candidates’ presentations at the forum and on firsthand interactions and meetings with the individual candidates. This entry was posted in Uncategorized on October 12, 2017 by Tyler.